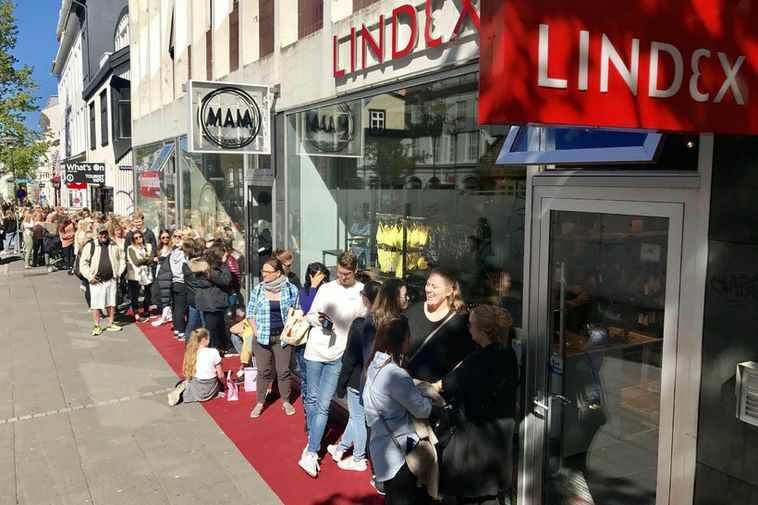 A new branch of Lindex selling only lingerie opened on Laugavegur, the main shopping street in Reykjavik today. Apparently Icelandic women are thirsting for new underwear as a long queue formed outside the shop. The new shop is located at Laugavegur 7 right next to the Italia pizzeria and offers lingerie, cosmetics and accessories. Lindex is a Norwegian label somewhat similar to H&M and has branches in Kringlan and Smáralind shopping malls in Reykjavik with women's and children's clothing.